"THE PHYSICIAN PRACTICE MANAGEMENT COMPANY ®"
Argus provides state of the art web-based systems. Argus provides an "a la carte" menu of services. Argus provides high value / low cost systems and services through economies of scale and efficient technologies. Argus provides "One Stop Shopping" for all physician practice management services. Argus provides negotiating leverage by tying physicians together in a "Physician Purchasing Co-Op". Argus Medical Management was formed in 1995 as a joint venture between St. Mary Medical Center in Long Beach, California and ProHealth Partners, a new integrated primary care medical group formed at the same time. 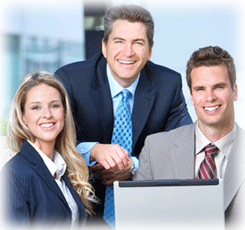 All aspects of the management services were designed by physicians for physicians. In 2001, the physicians managed by Argus and the Argus management team purchased St. Mary Medical Center’s entire ownership in Argus. Today Argus is one of the few successful physician practice management companies in Southern California. Robert Boullon has been involved with Argus since its inception in 1995 as the Acting Administrator, C.O.O. and C.E.O. for Argus. Previous to working for Argus Mr. Boullon held various positions in hospital finance at hospitals in S. California including Northridge Medical Center, City of Hope, St. Joseph, Burbank, Western Medical Centers, and St. Mary Medical Center in Long Beach. Mr. Boullon has taught HealthCare Finance Courses at various Universities in S. California including Cal. State Northridge, Chapman College and Cal. State Long Beach. Mr. Boullon is a past president of the HealthCare Financial Management Association of S. California and has made numerous presentations at HFMA conferences. Mr. Boullon holds graduate degrees in Public Health from UCLA and Business from U.C. Irvine. Ms. Huang had extensive experience in public accounting, hospital and IPA finance prior to joining Argus in 1997. Ms. Huang oversees all financial operations and Human Resources for Argus and serves as the C.F.O. and C.O.O. for Argus' strategic accounts. Ms. Huang holds a Bachelors Degree in Business from Cal. State Northridge. Ms. Paulino had a background in large scale business process reengineering projects, systems implementation and business consulting prior to joining Argus in 2004. Ms. Paulino oversees Offshoring Operations, New Client Onboarding, Argus' Systems Support (IT and HelpDesk), CareTracker EMR Implementation, Population Health Management, ProHealth In Network Referral Program, Group Purchasing, Marketing Coordination and Systems Development. Ms. Paulino also manages CareTracker ASP and Billing Company clients. Ms. Paulino holds a Bachelor's Degree in Industrial Management Engineering. Ms. Phan joined Argus in 2018 and brings over 20 years of experience in healthcare. Prior to joining Argus, Ms. Phan held several leadership positions with managed care organizations and MSOs (management services organization) and has vast experience in physician network development in existing and emerging markets. She also led the management for several IPAs in California and other states with changing healthcare landscapes. Ms. Phan oversees the Regional Management team which services the primary and specialty care physician networks and the Human Resources team. She holds an undergraduate degree in Business Administration/Psychology from UC Irvine and has lived in Southern California for over 40 years. Ms. Pleitez has been working for Argus since inception (1995). She oversees Argus' Revenue Cycle Operations, Credentialing, Contracting and serves as the Liaison for Argus' Key IPA Master Contracts. Ms. Pleitez holds a Bachelor's Degree in Business Management. Mrs. Bigam held several positions in Revenue Cycle Management before joining Argus as Director of the Billing Department in 1995 (inception). Mrs. Bigam also led Argus' efforts in EMR, HIE, and Meaningful Use. Mrs. Bigam is a recipient of the Optum / CareTracker Lifetime Achievement Award for her efforts in Revenue Cycle and EMR and serves as the Chairperson for the CareTracker Users Group. Mrs. Bigam now serves as a consultant in EMR, EMR Connectivity and HIE for Argus.